& 9 am - 1 pm Sundays. We no longer have afternoon walk-in hours. Please call our office to schedule an appointment. Looking to Join Our Practice? Dr. David E. Simai founded his private practice in 2005 with one objective in mind - taking care of the 5 Towns & Far Rockaway Community's medical needs. 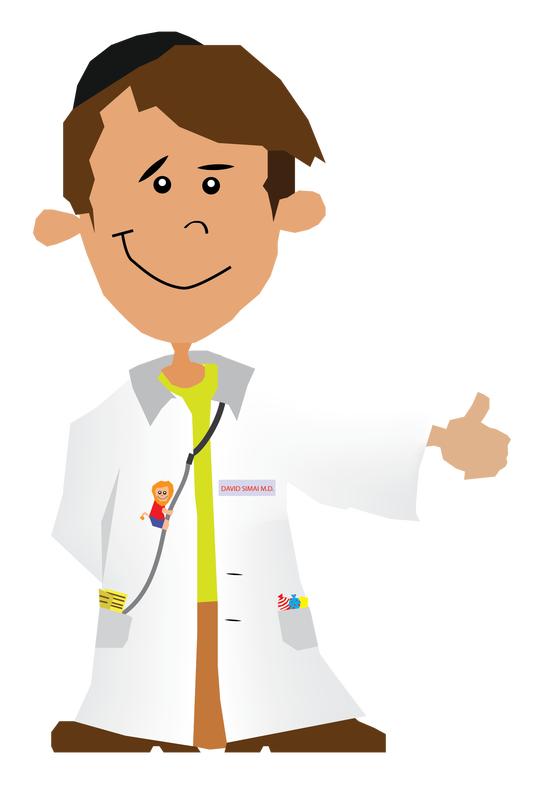 Dr. Simai is a Board Certified Pediatrician. He attended Yeshiva University, SUNY Downstate Medical School and completed his Pediatric Residency at LIJ -Cohen Children's Hospital in 2003. Dr. Simai was raised in a family of physicians who actually enjoyed practicing medicine! His father, Dr. Elias Simai, taught by example, by developing innovative surgical techniques and going the extra mile for every single patient he treated. Dr. Simai and his staff work tirelessly to tend the needs of all our patients. We pride ourselves in treating every patient we have like a VIP. We conduct daily meetings to discuss high risk patients and follow up on laboratory results. We strive to manage sick patients at our office rather than transferring care to Emergency Rooms. Dr. Simai personally opens the office after hours a few times a week to suture lacerations. We help coordinate and expedite appointments by specialists, and only refer to physicians we trust. Our parents tackle medical issues with more confidence and less anxiety. Dr. Simai’s focus is to deliver the best care to your child, and simultaneously, forge a lasting, bond of trust, care and support. Working as one with parents to raise a brighter, happier and healthier generation. 660 Central Avenue, Suite #3. 2005 - 2014 © David E. Simai, M.D. All Rights Reserved.